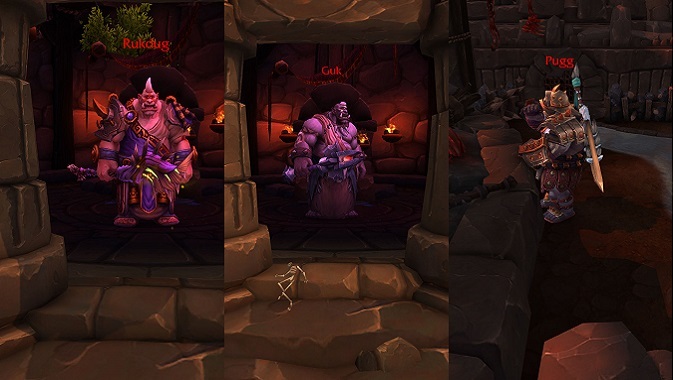 The long-awaited Patch 6.2.1 has just landed on the PTR and with it, a few surprises, including some new pets! If you’ve ever used Aviana’s Feather to “fly” yourself into the un-instanced version of Highmaul, you may recall un-attackable NPCs and a quick port back out to Nagrand. Well, the upcoming patch is going to change that and will bring with it a host of enemies, including three new rares who all drop a different Manafiend pet. One such rare is Rukdug, a caster who prefers to live off to the side where post-Kargath trash usually is; another is Guk, also a caster, who inhabits a hut near the location most players know as Tectus’s room; and lastly, Pugg, a heavy-hitting melee mob who takes up residence near where the Butcher might often cook his meals. Rukdug, Guk, and Pugg each have a chance to drop Vibrating Arcane Crystal, a Glittering Arcane Crystal, or a Warm Arcane Crystal, respectively. Myself and a feral druid tried going dual DPS but died at first to Guk (partially due to the PTR’s unfamiliar keybindings). After that, the druid went into tank mode and we made quick work of the three rares. 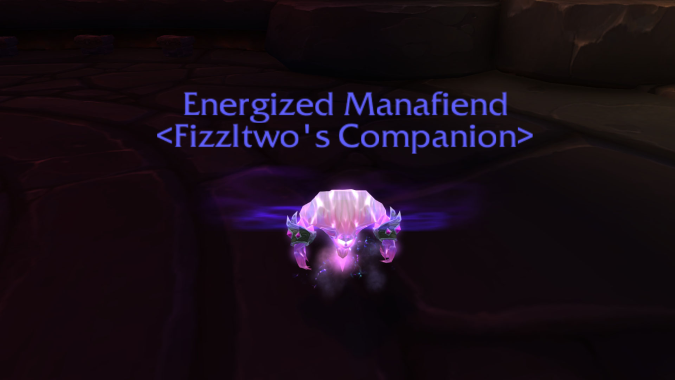 I managed to grab the Energized Manafiend off of Rukdug; however, it did not appear to be shared loot, as I did not need to roll and the druid received only garrison resources and gold. The pets also appear cage-able, so get ready to put your farming boots on when patch 6.2.1 hits live servers! Good luck, collectors!